For Jr Laboratory Technician - Must have passed +2 science examination under council of higher Secondary Education and passed Diploma in Medical Laboratory Technology. For Attendant - Must Have passe Middle Exam or equivalent & can read, write & speak in Odia. Selection Process - Selection will be made on merit basis based on Career Assessment. How to Apply - Interested candidates may apply in prescribed Application form along with attested copies of relevant documents, photograph & envelop superscribed as APPLICATION FOR THE POST OF_____________. send to the Chief District Medical Officer, Keonjhar, Odisha on or before 09.01.2017. For Pharmacist - Must have passed +2 science examination under council of higher Secondary Education and passed Diploma in Pharmacy. How to Apply - Interested candidates may apply in prescribed Application form along with copies of relevant documents, photograph & envelop superscribed as APPLICATION FOR THE POST OF_____________. send to the Chief District Medical, Jagatsingpur on or before 09.01.2017. How to Apply - Interested candidates may apply in prescribed Application form along with copies of relevant documents, photograph & envelop superscribed as APPLICATION FOR THE POST OF_____________. send to the Chief District Medical, Jajpur, Pin-755001 on or before 09.01.2017. Educational Qualification - Candidates Must Have passe Middle Exam or equivalent & can read, write & speak in Odia. How to Apply - Interested candidates may apply in prescribed Application form along with self-attested copies of relevant documents, photograph & envelop superscribed as APPLICATION FOR THE POST OF_____________. 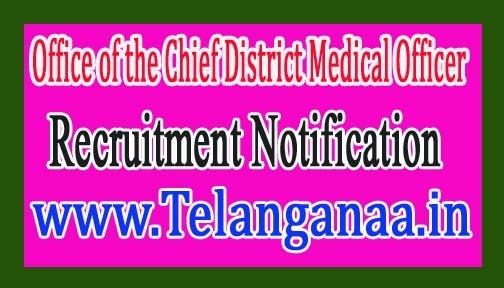 send to the Chief District Medical Officer, At/Po-Puri, Dist-Puri, Pin-752001 on or before 09.01.2017. How to Apply - Interested candidates may apply in prescribed Application form along with copies of relevant documents, photograph & envelop superscribed as APPLICATION FOR THE POST OF_____________. send to the Chief District Medical, At/Po-Pulbhani, Dist-Kandhamal, Pin-762001 on or before 09.01.2017. For Economist - PG Degree in analytical & Applied Economics / Economics from recognized institution/University with Ph.D with relevant experience. For Micro Planning & Livelihood Expert & Finance Expert - M.Com/ MBA (Finance) with relevant experience. How to Apply - Interested candidates may apply in prescribed Application form along with copies of relevant documents & photograph send to Planning Office, Xavier Institute of Management, Xavier Squire, Bhubaneswar, Odisha on or before 31.12.2016.